Panache01943 609798work Restaurant - IndianPanache, in the Indian Sub-continent is recognised as the ultimate in living luxury. 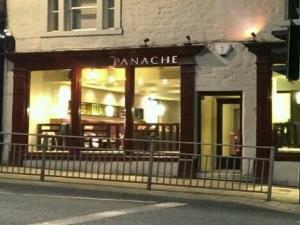 In Ilkley, we have attempted to recreate the ambiance, atmosphere and the flavours that make a visit to the Panache so memorable. Combining the sophistication and quality cuisine with the charm of a family run restaurant. You will be served excellent food by an attentive staff in a friendly and luxurious setting. An experience you are sure to enjoy and want to repeat.